If you live in or have ever traveled to a large city, you’ve seen the effects of air pollution first hand. Smog is one of the most prevalent types of air pollution and is also what comes to many people’s mind when they think of air pollution. 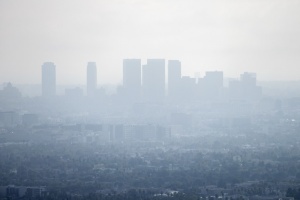 Smog or “ground-level ozone”, is what happens when fossil fuel emissions mix with sunlight. Because smog is rarely seen outside of large metropolis areas, many people don’t give air pollution a second thought or if they do, they think it doesn’t affect them if they can’t “see” it, this however is an incorrect assumption. Even though we are unable to see most air pollution with the naked eye, doesn’t mean it’s not there. So what exactly is air pollution? 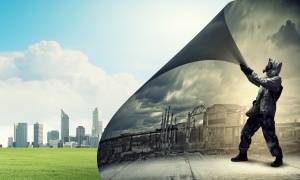 According the National Institute of Environmental Health Sciences, air pollution can be broken down into two categories, indoor and outdoor air pollution. 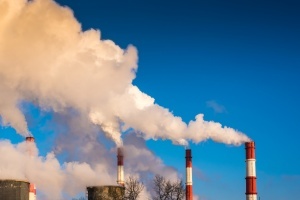 This article discusses largely discusses outdoor air pollution and how it affects our health, our environment, and how combined heat and power (CHP) can reduce in power plant emissions. “Most air pollution comes from energy use and production,” says John Walke, director of the Clean Air Project, part of the Climate and Clean Air program at NRDC, “burning fossil fuels releases gases and chemicals into the air.” While air pollution is a large contributing factor to climate change, it is also aggravated by the rising temperatures of climate change. “Air pollution in the form of carbon dioxide and methane raises the earth’s temperature,” Walke says. “Another type of air pollution is then worsened by that increased heat: Smog forms when the weather is warmer and there’s more ultraviolet radiation.” Additionally, longer pollen seasons, extreme weather, and increased flooding caused by climate change is also the central cause of higher levels of allergenic air pollutants like mold and pollen. Based off of a study by the World Health Organization (WHO), over 91% of the world’s population is living in areas that exceed WHO air quality guidelines. Even though the United States and other countries around the globe are actively working towards better and cleaner air quality, climate change is proving to be an obstacle that we have yet to overcome. However, air pollution, and all its types, has additional detrimental effects to not only our environment, but also to human health. Health conditions caused by air pollution can range from mild cases of allergies to death, as you’ll soon see. Smog and soot both originate from the same place: “Both come from cars and trucks, factories, power plants, incinerators, engines—anything that combusts fossil fuels such as coal, gas, or natural gas,” Walke says. Smog has been known to be an eye and throat irritant, in addition to causing damage to the lungs and triggering asthma attacks in people who suffer from allergies or asthma. These health conditions are heightened for senior citizens, children, and people who work outside. It doesn’t take a rocket scientist to see that much of the air pollution we face today is man-made. Still, most of the population is not ready to go without the modern conveniences of today, nor should we have to. There are both personal and larger scale options that we can all choose to take responsibility for in order to reduce our overall carbon footprint. Living more consciously, while still enjoying our lifestyle is one of the best gifts that we can give to future generations. Let’s explore how each one of us can help reduce air pollution along with, how combined heat and power can reduce offset air pollution. As you can see, power plants, engines and industrial sources are the leading cause of air pollution. Power plants that use natural gas are responsible for 40% of air pollution in the United States, that’s almost half of our air pollution! You may be thinking that the best course of action would be to eliminate energy sources fueled by fossil fuels all together, and switch to energy systems like wind and solar, however this would take years to implement- especially if you need energy to power your home, your computer, your cellphone, your business, etc. While wind and solar power are both viable resources for energy production, they are not feasible as stand alone operations. If we are to use such power systems as wind and solar, it needs to be in conjunction with a technology system that reduces air pollution, generates enough power for the world’s energy demands and offers an investment opportunity, this is what CHP can do. With combined heat and power, up to 98% of the heat generated by power plants is captured, cleaned, and used in the project’s hot water system, absorption chillers, pools, snowmelt, or any number of applications. Essentially, with the use of a CHP system, at least half of the heat and other pollutants that are released into the atmosphere from power plants would be captured into thermal energy. Thus reducing air pollution, while increasing energy production. You can find more information about the benefits of CHP and how it can help save you money and help the environment, here. Alternatively, there are some simple changes you can make in your own personal life to reduce your carbon footprint. Stop eating or eat less meat. Unplug your devices when you’re not using them. Drive less. If you can commute to work via bike or by walking, start doing this at least a couple times a week. This is both good for the environment and your waistline. The actions and choice we make today, will ultimately affect the future. Make the choice to live responsibly in both your personal life and with your business.